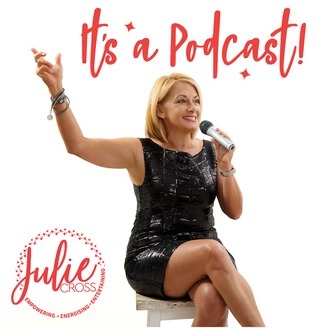 Welcome to the ‘Julie Cross’ Podcast SHOW! What you can expect when you stop by is that you will be empowered, energised or entertained… or perhaps all three at once. This will happen through the sharing my thoughts, learning and reflections. It will happen through storytelling, sharing both my stories and the stories of others, it will also happen through interviews with people, maybe not famous people but people on the street. It is going to grow and change as we do and as I get to know what you want to hear. But what I can promise you is that no matter the content, my vision will always be take you on a ‘feeling’ journey leave you ‘feeling’ glad that you stopped by. Enjoy! And I look forward to reading your comments and thoughts. How do we make a real difference in the world...just like this! You can't just physically show up, you also have to energetically show up!